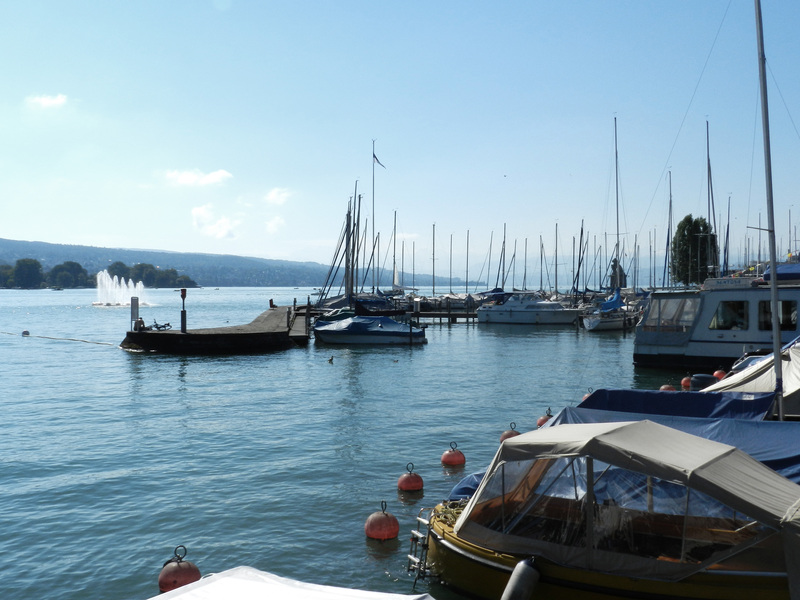 Last week, my family and I came back from Zürich in Switzerland. 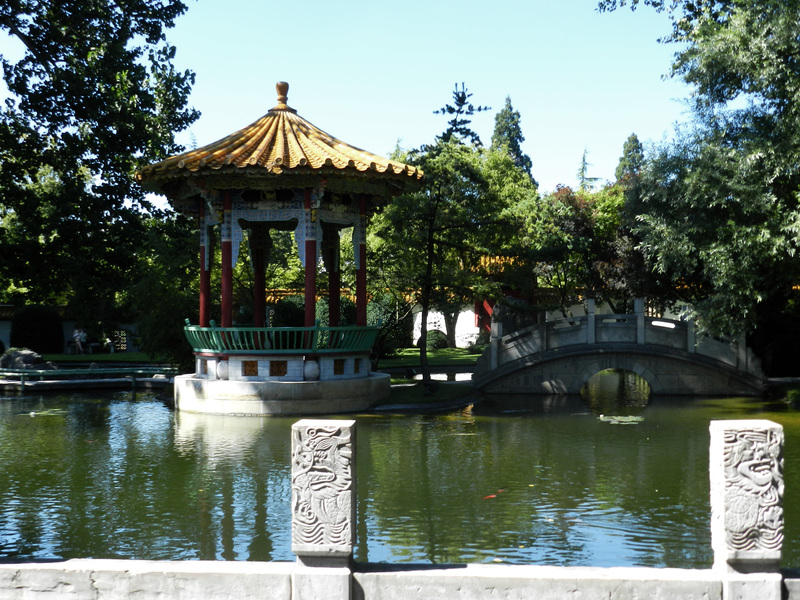 As I enjoyed my time there a lot, I decided that I would share with you all what I did and what I visited. I will have to write more than one post, because there are so many things to explain and a lot of photos too. The beginning of our trip wasn’t as good as we had imagined because our flight was delayed. To be honest, I don’t think I’ll fly again with Vueling because it is not the first time this happens to me and it won’t be the last one, as you’ll see in another post. 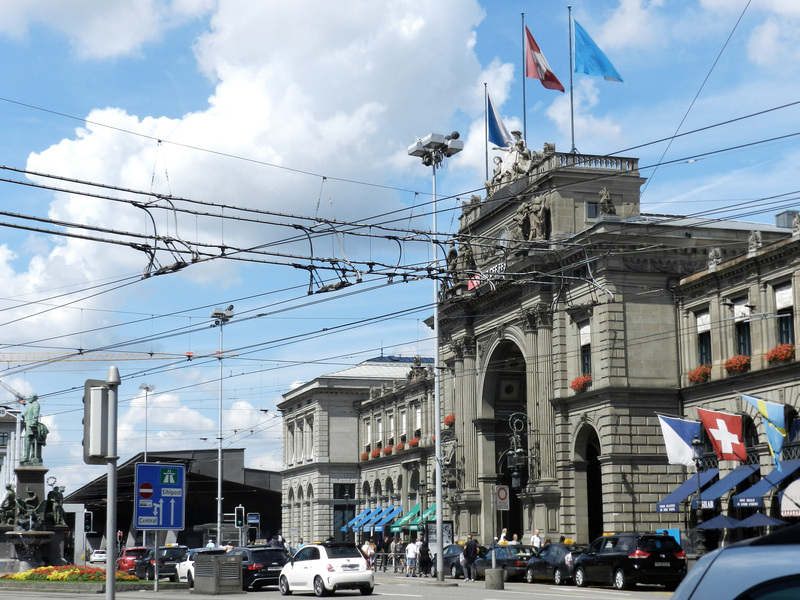 When we arrived in Zürich, we went straight to the hotel so that we could leave our luggage there. I won’t talk much about the hotel because I personally didn’t like it that much, although people there were very kind to us. Once we did the check-in, we decided to go for a walk. 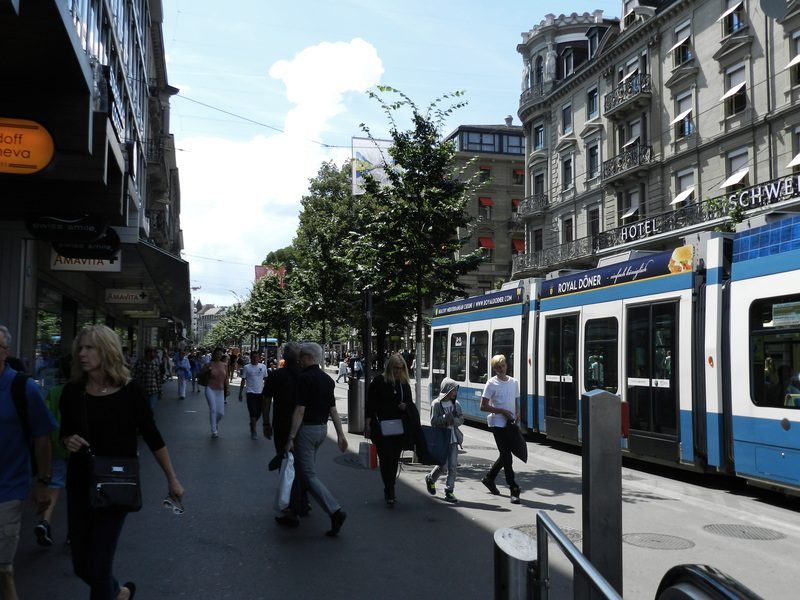 Of course, we had to go to Bahnhofstrasse, which is the most important street in Zürich. You can find a lot of shops there and its surroundings. 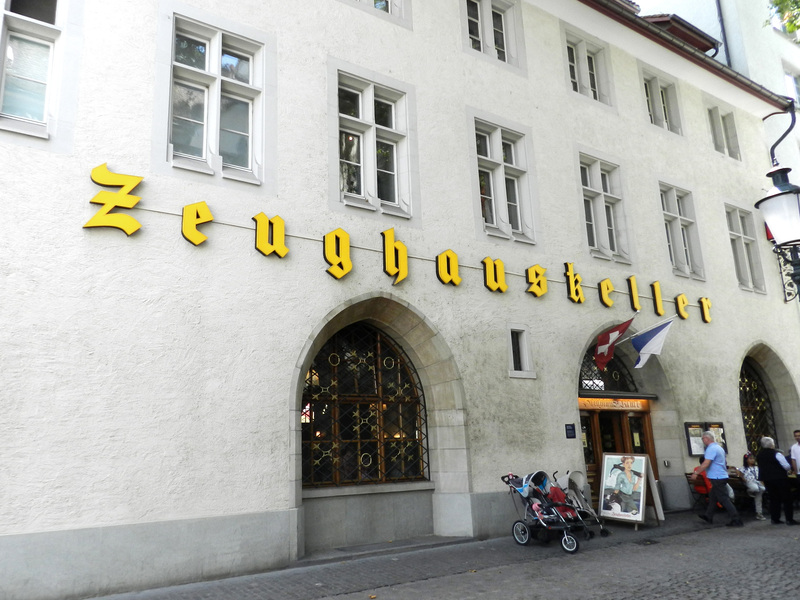 We were quite hungry so we looked for a restaurant and we found Zeughauskeller (easy name, isn’t it?). 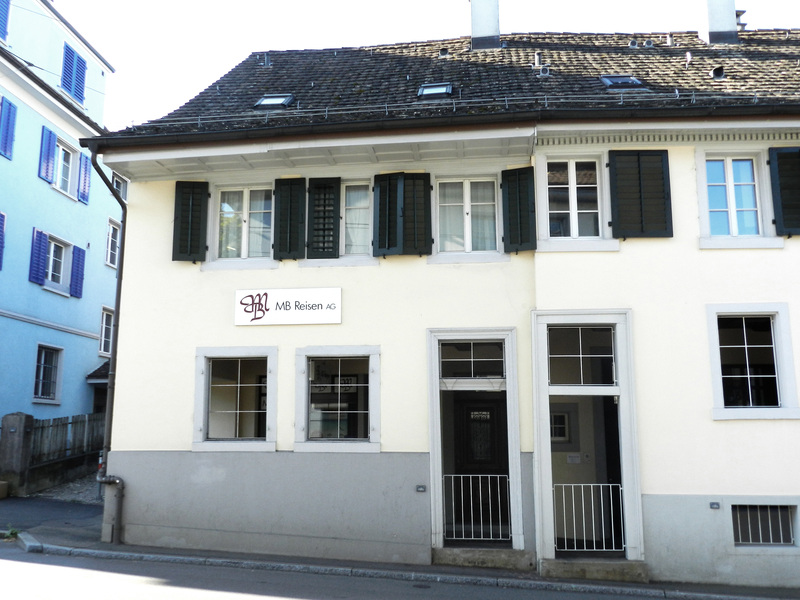 It is a very old place and they serve typical food. I actually knew about this place thanks to Gallucks, and I am glad I did, although the portions are too big for me to be honest. After lunch, we decided to walk along the river. 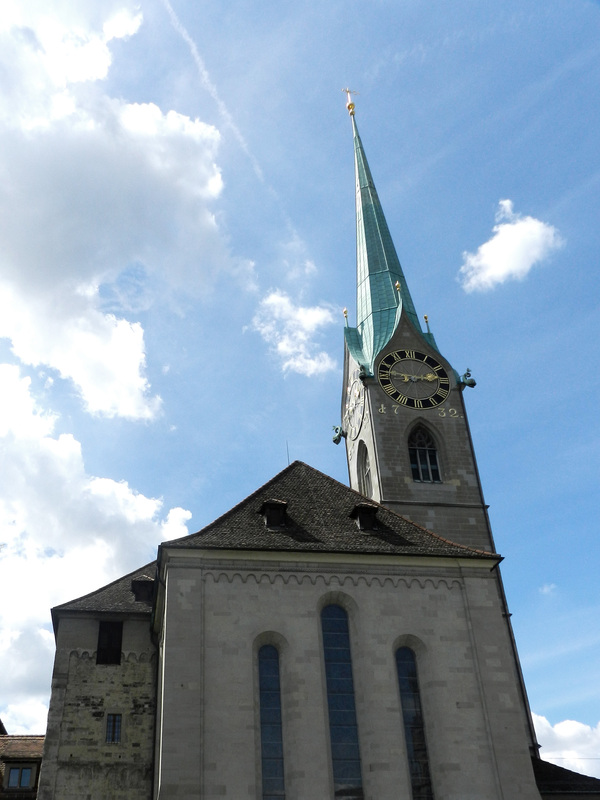 We could see Fraumünster and Grossmünster, which are basically a church and the cathedral. They are very nice though. I am not a very religious man but I like to visit these places. We continued our walk until we arrived at the lake. I must say it is absolutely beautiful, especially when it is sunny and you have a lot of time to enjoy it. We also found a flea market. I didn’t buy anything because I couldn’t find anything I really liked. 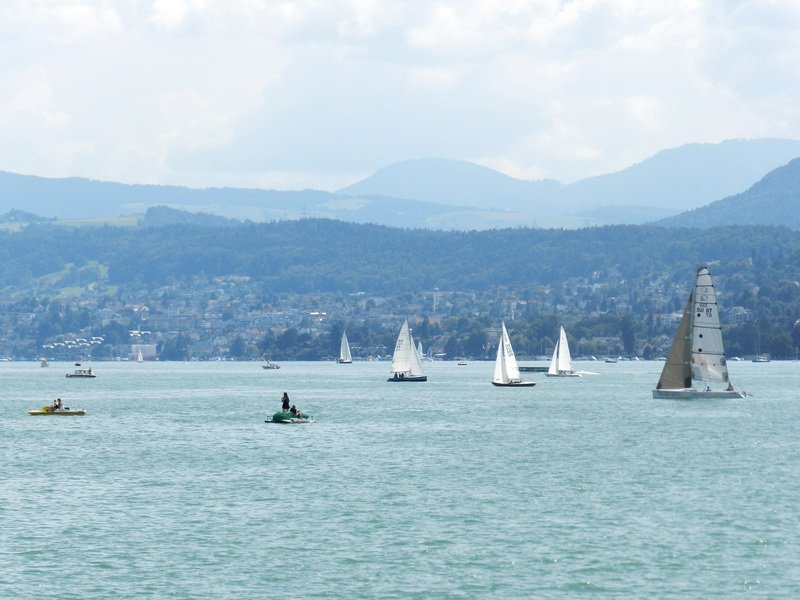 Then, we went to Bellevueplatz. 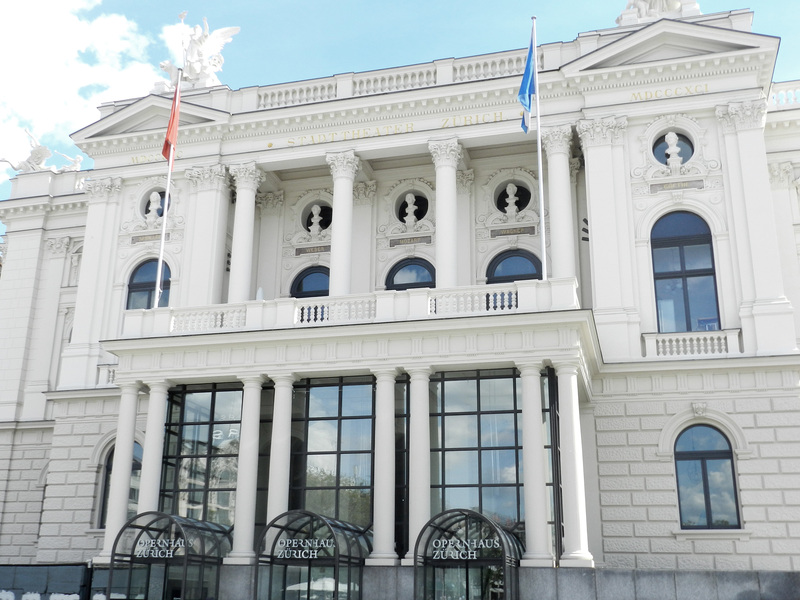 There you can find more shops and also the Opernhaus, which I really liked, although we didn’t go in. 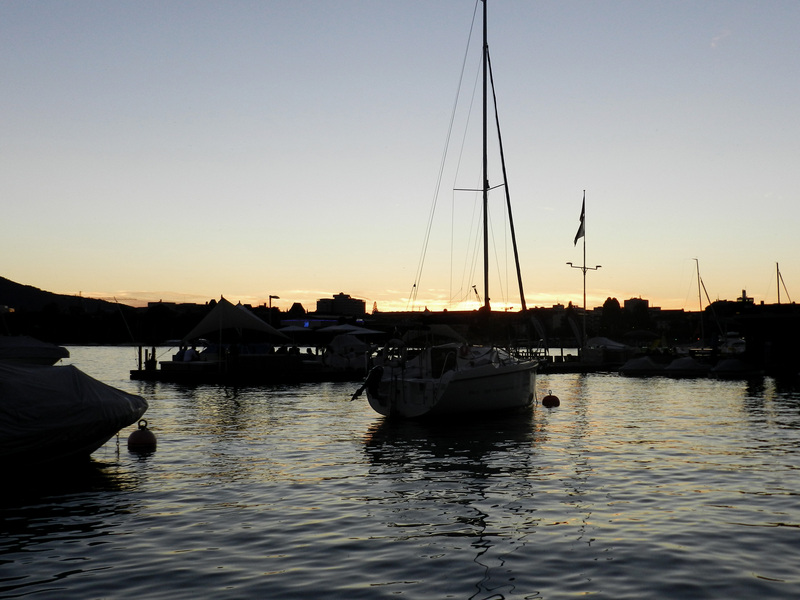 This was probably one of our favourite places to just chill out for a while. You even had some chairs to sit down if you wanted to. Afterwards, we went back to the hotel because we were exhausted. The second day we visited my mother’s old house. 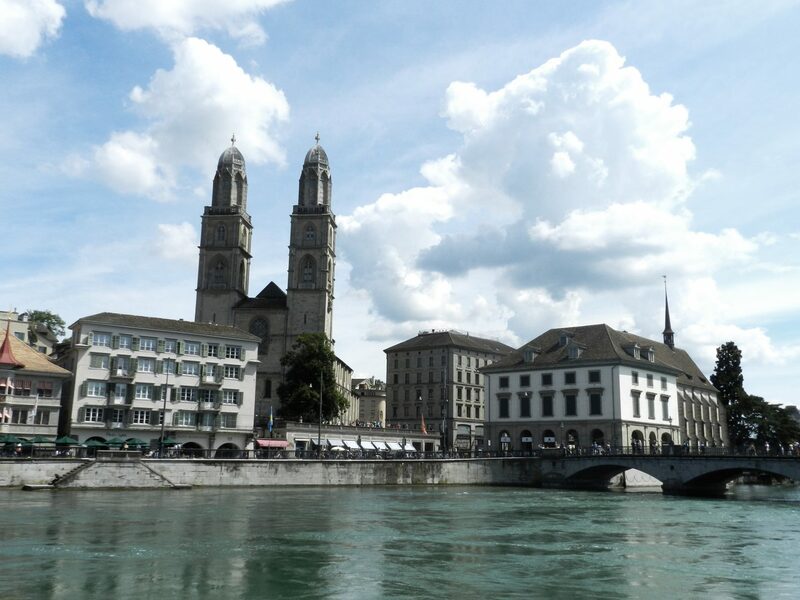 She lived in Zürich for two years when she was a teenager, so she was very excited about it. I must say the neighbourhood is lovely. 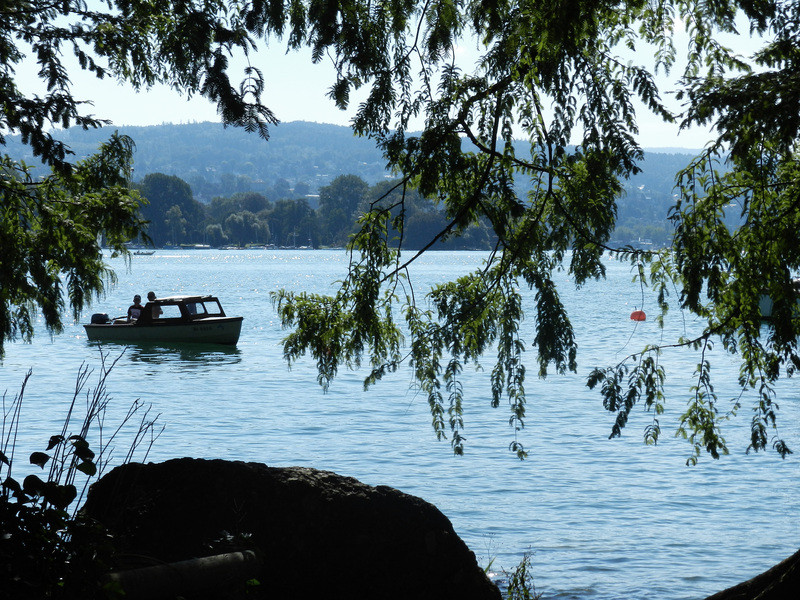 After walking around the neighbourhood for a while, we decided to go back to the lake and go further than the day before. 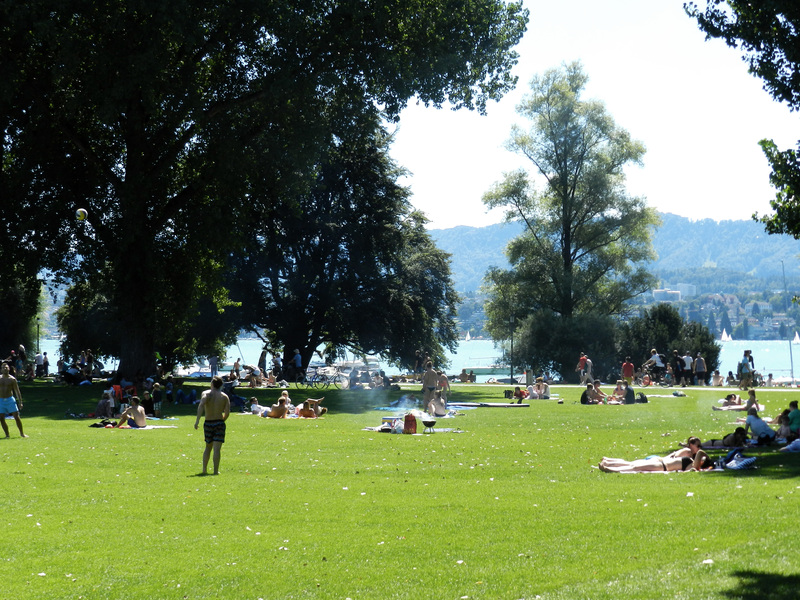 We actually arrived at Strandbad Mythenquai, which is like a little beach. We didn’t go in, but it looked really nice if you want to lay there and swim in the lake. It was still quite early and I wanted to go to Flutern Cemetery. 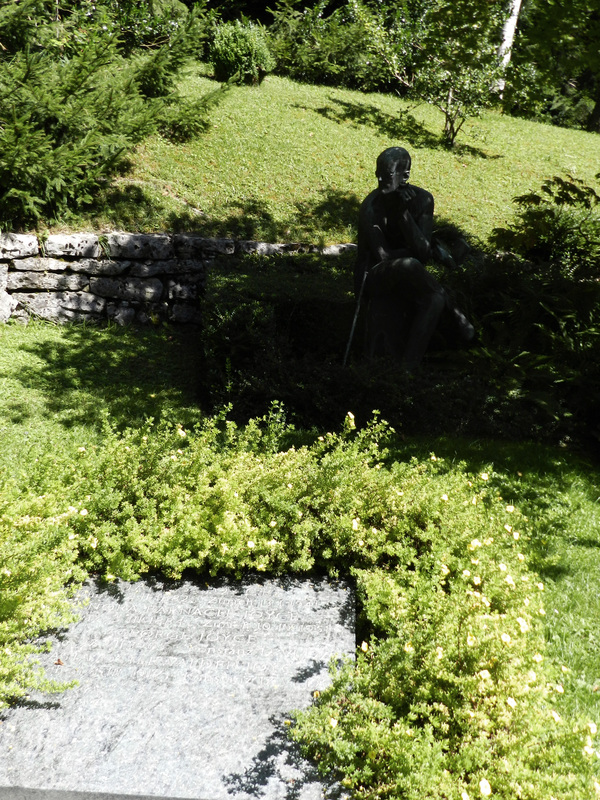 It may seem weird, but the reason why I wanted to go there is that you can find James Joyce’s tomb. To be honest, I think the cemetery itself is really beautiful too. 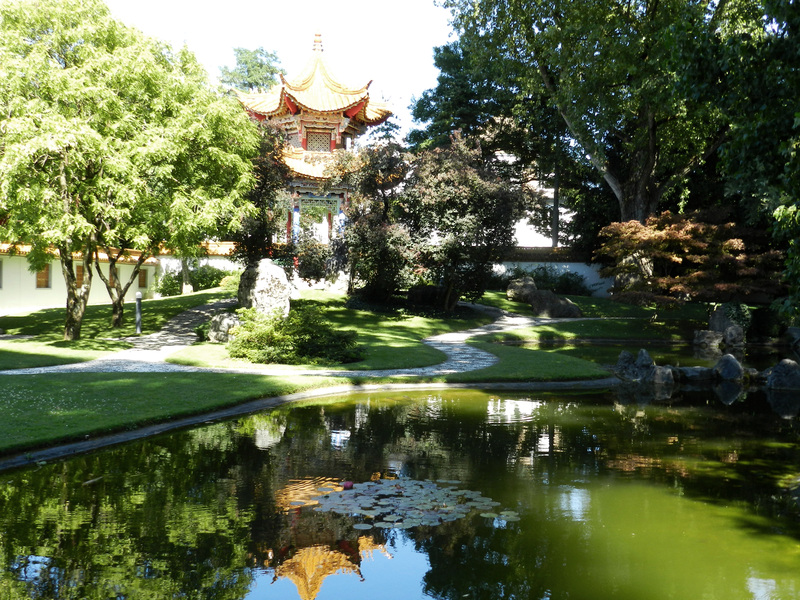 After lunch we visited China Garten, which is next to the lake. 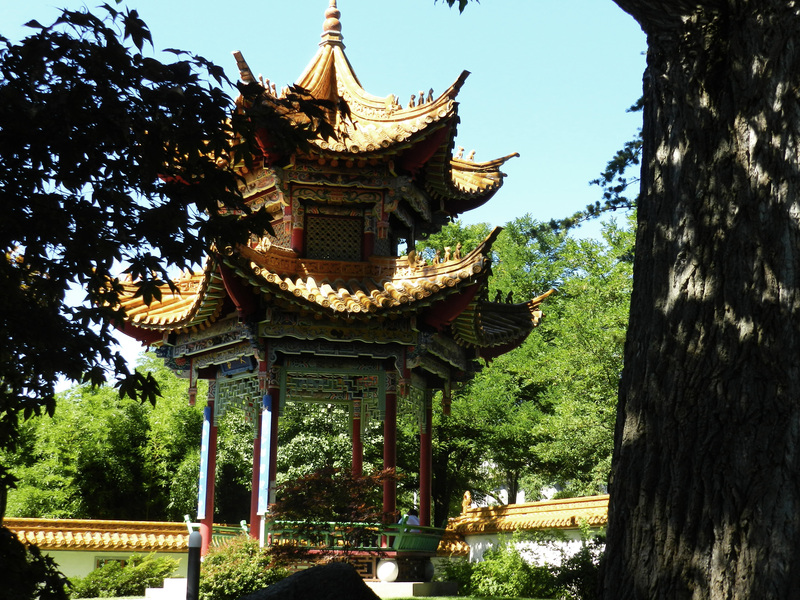 It is a nice little garden with Chinese decorations. I personally liked it, although they were building something in there and it wasn’t as nice as it normally is. Then we had some ice cream. I had the best sorbet EVER. 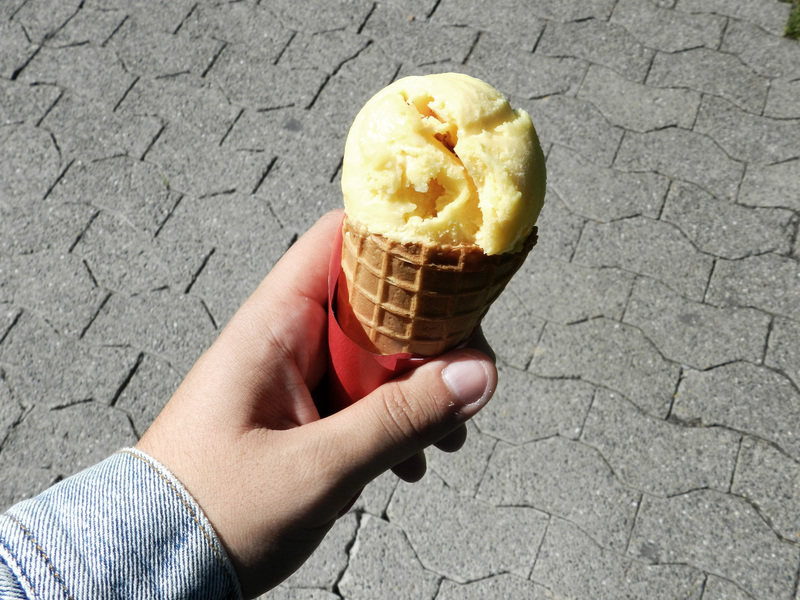 It was a passion fruit and mango sorbet, which I could eat every single day of my life. We enjoyed our walk around the river, even though it was very crowded. It was Sunday and it was very sunny, so literally everyone was there. 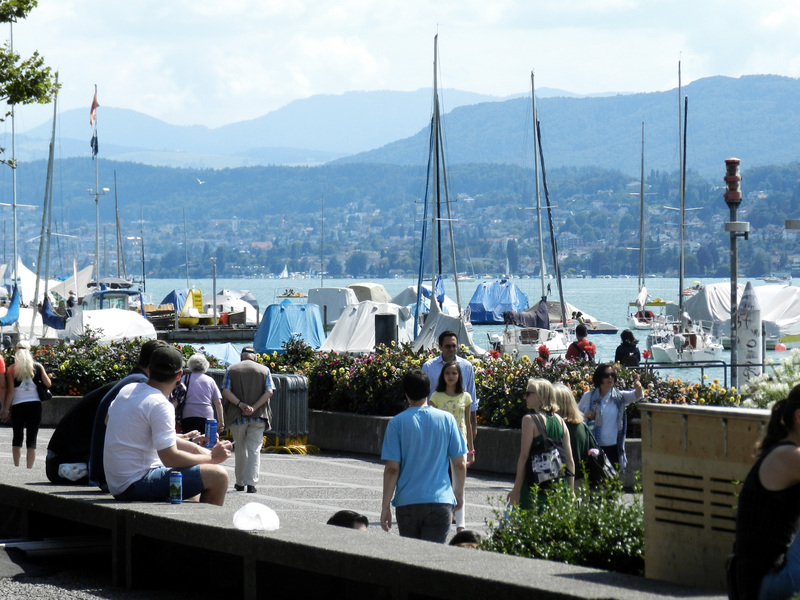 We headed back to the hotel to have some rest, but then we went back to Bellevueplatz. 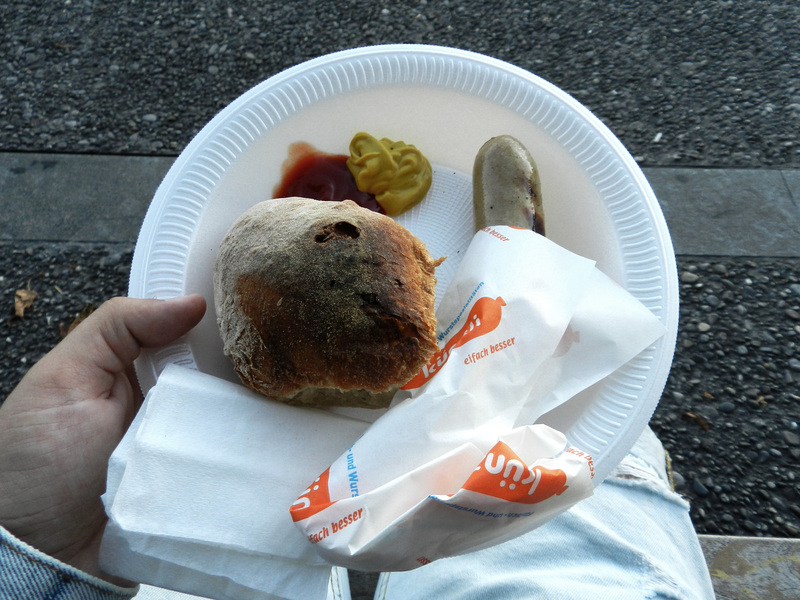 We bought a Bratwurst with Bürli (it’s a kind of bread) each, and we had dinner by the lake. I definitely recommend that because it was very relaxing. Then we went to the centre again for a little walk. 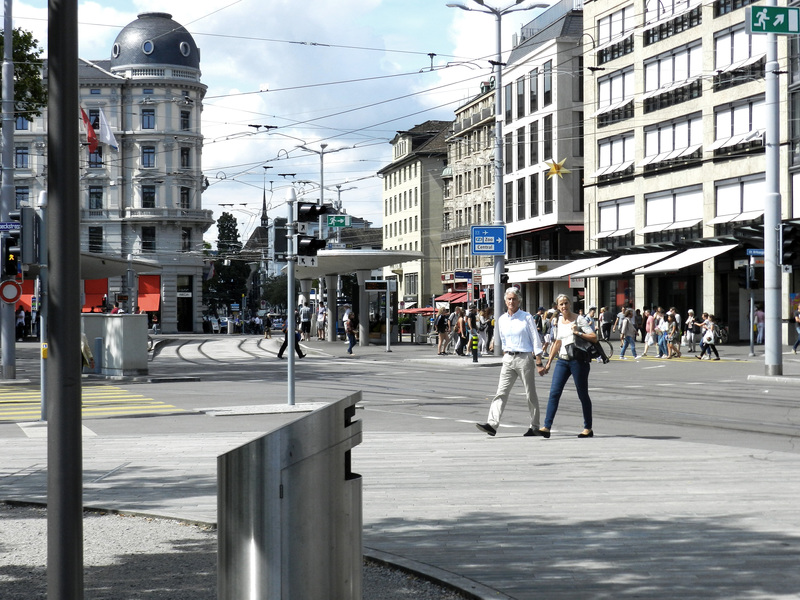 Zürich at night is very quiet and beautiful. After that, we went back to the hotel. You can read the second part here if you want. I hope you are liking these posts. 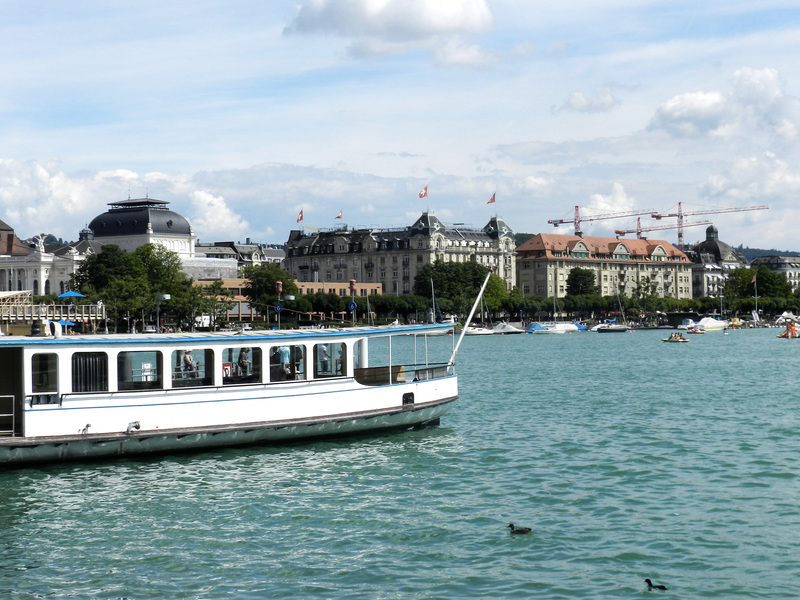 Also, let me know if you have ever visited Zürich or any other place in Switzerland! Wow!! I totally loved this post! 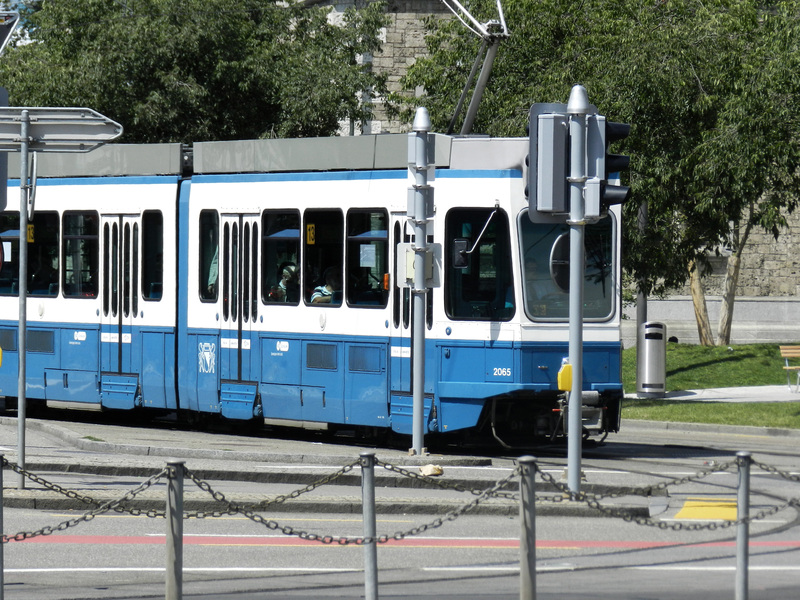 I put Zurich into my “Places to visit” list. I loved the photos you took. I didn’t know your mom used to live there (eventhough it was 2 years), she surely was glad when she saw her old home!